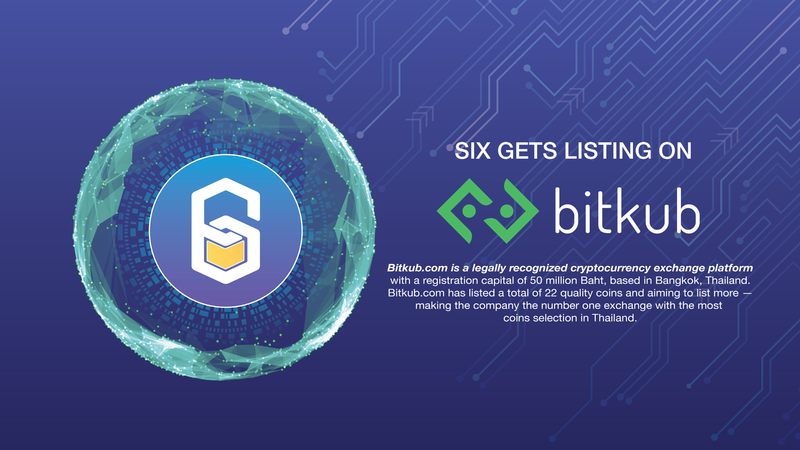 SIX Network has announced the local partnership with Bitkub the Thai leading digital asset exchange which just received the full digital asset business licenses from SEC Thailand. Listing on Bitkub will allow our Thai investor to purchase SIX with Baht for the first time. As the current Thai market is more open with cryptocurrency and digital asset exchange, people are learning. The governance side is also more positive as all the scam project was dead during the bear market and eliminated out of the league. 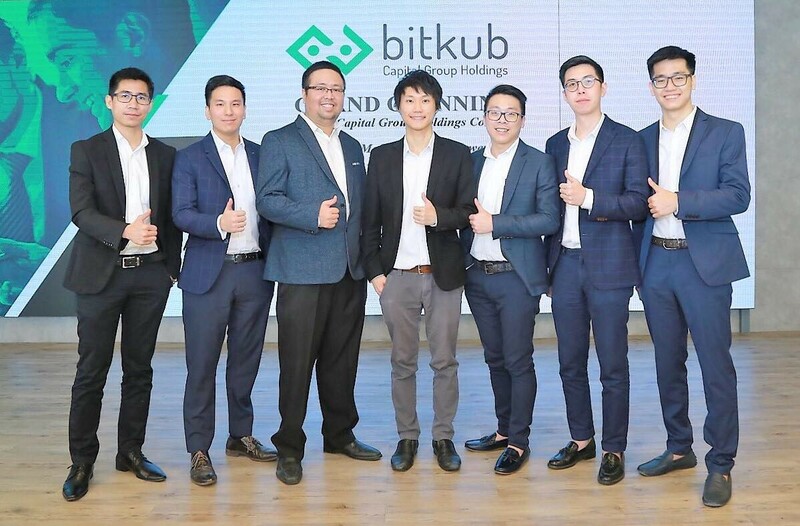 About Bitkub Bitkub.com is a legally recognized cryptocurrency exchange platform with a registration capital of 50 million Baht, based in Bangkok, Thailand. Bitkub.com has listed a total of 24 quality coins and aiming to list more — making the company the number one exchange with the most coins selection in Thailand between Thai baht pairings. The exchange aims to bridge the gap between blockchain and cryptocurrency services to “non-tech user” by being the most trusted and easy-to-use cryptocurrency exchange in Thailand. Bitkub.com is also open 24 hours to assist users in English or Thai language. If you are interested in buying SIX Token on Bitkub, you can make an account and start trading right away. Starting from 18 March 2019. As we mentioned in our last article, Ookbee possessed 10 million active users in their platform which will be our first target group that we will bring them on broad to SIX network ecosystem. Besides, the latest partnership with Bitkub also benefits us create a healthy community which blends with the blockchain enthusiasm, Digital Asset investor and the young generation, creative alike or digital nomad group. SIXR the newest product from SIX network that was designed to be the linkage between young creator, digital asset and reality consumer good. The app will give a unique experience of a digital wallet that connected to variety ecosystem like Joylada, Tunwalai, Fastwork, and other partner platform or even the consumer good product like Mcdonalds or even our favorite bubble tea. Moreover, we linked our creator talent with the financial services from Krungsri Consumer who is looking into the future of how digital asset can become economic mainstream. But, before that, we are dealing with another challenge. Mass adoption. Mass adoption is changing people’s habits and before we can do that. We must understand their needs, their skills, and their life. This is the reason why we put a time to the UX research with our market. To ensure we deliver the platform that connected their both live. Adoption is the great challenge that we want to overcome which surely we need to accelerate our strategy toward this challenging situation in 2019.